Yves Sain Laurent L'Homme is a fresh woody fragrance. 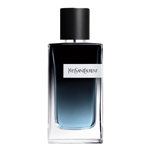 Intense and charismatic this fragrance is designed for refined masculine gentleman. Top notes of lemon zest, cedrat, bergamot and ginger of china. Middle notes of violet leaves, basil flowers, and white pepper. Base notes of sandal wood, Virginia cedar, vetiver and Tonka beans.